PEG Judge - WC15 #1 - Do You Know Your Woburn Colours? Problem 1: Do You Know Your Woburn Colours? Welcome to the first Woburn Challenge in over a decade! We hope you find these contests fun and challenging. CHEER WITH ALL YOUR MIGHT. A true Woburnite obviously knows Woburn's colours by heart. Do you think you have what it takes to identify them? 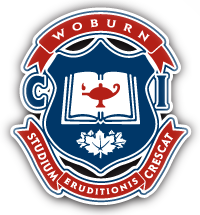 Given any two of the three Woburn colours in no particular order, your task is to name the third one. There will be two lines of input given to your program. Each line will contain one of Woburn's colours in all uppercase letters. Each of the colours will be one of "RED", "BLUE", or "WHITE" (without quotation marks), and the two colours given are guaranteed to be distinct. Output a single line containing the Woburn colour that was not mentioned in the input. Your output must be in all uppercase. SuperCyther on Jan 26, 2018 - 2:02:35 am UTC ?? Why does my code not output anything? jargon on Jan 26, 2018 - 7:19:19 am UTC Re: ?? Google "compare strings in Java." In my code, i know everything is correct and there's no syntax errors. But when i enter it, it says that the words BLUE, RED and WHITE are not defined. PLs help me! You need double quotes around strings.